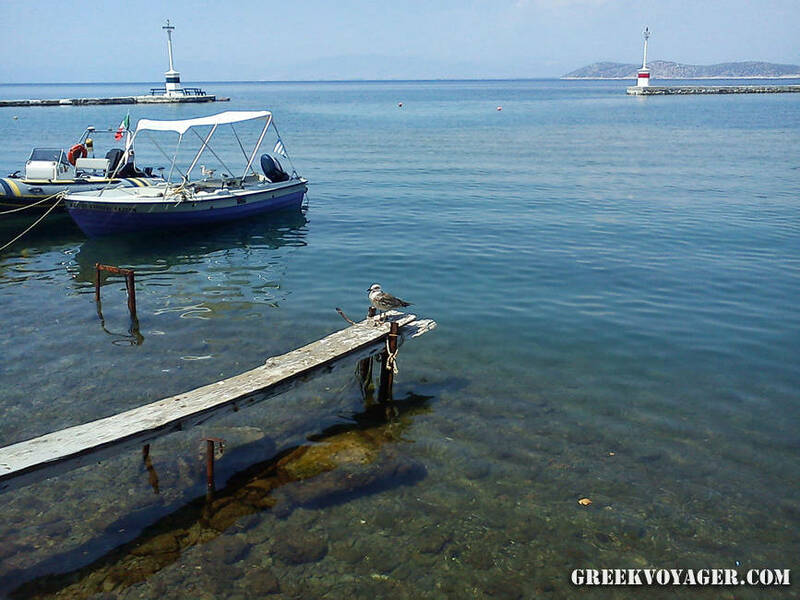 One of the most beautiful Greek islands and one of the most famous tourist destinations! 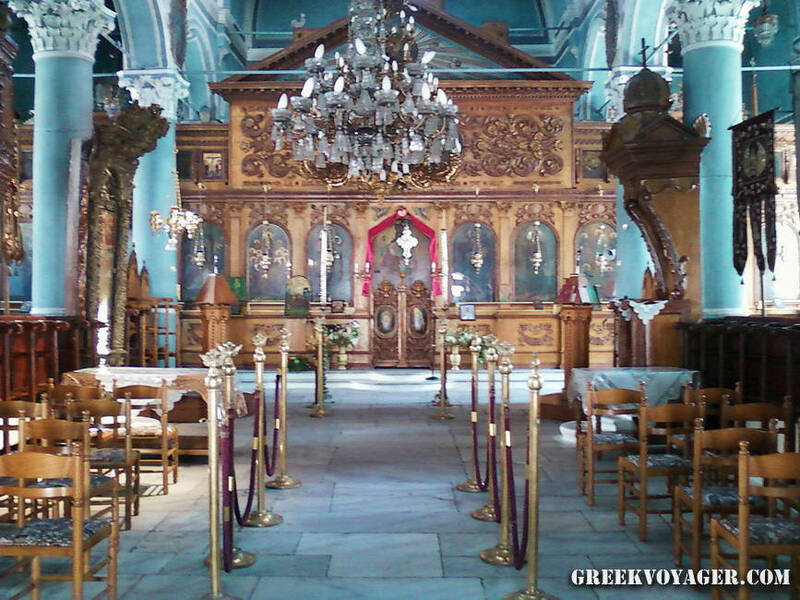 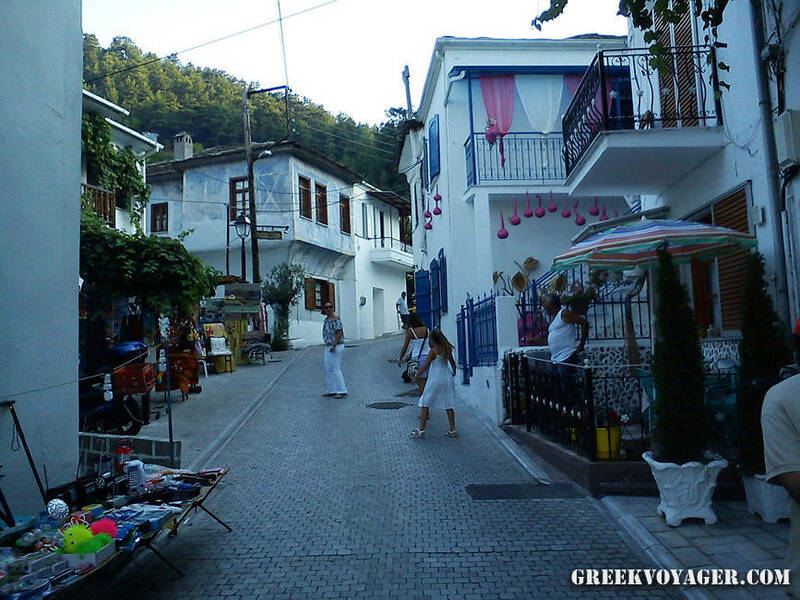 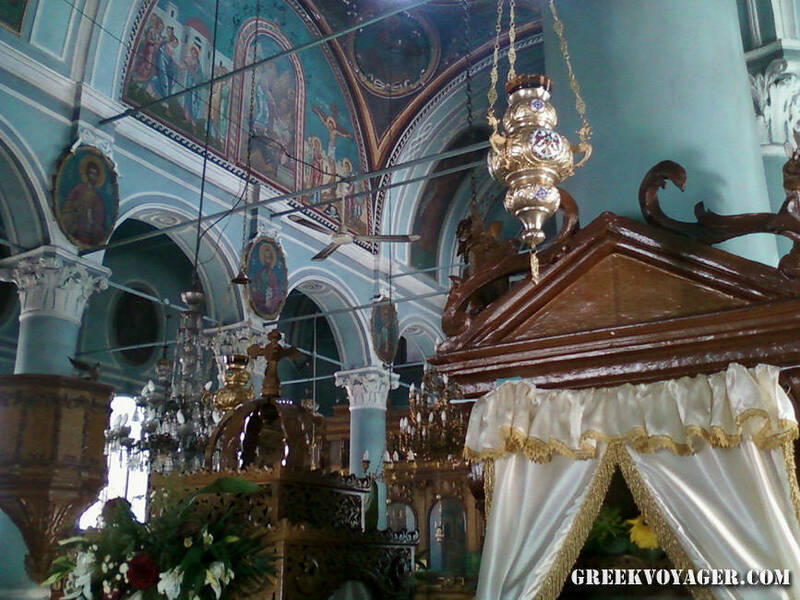 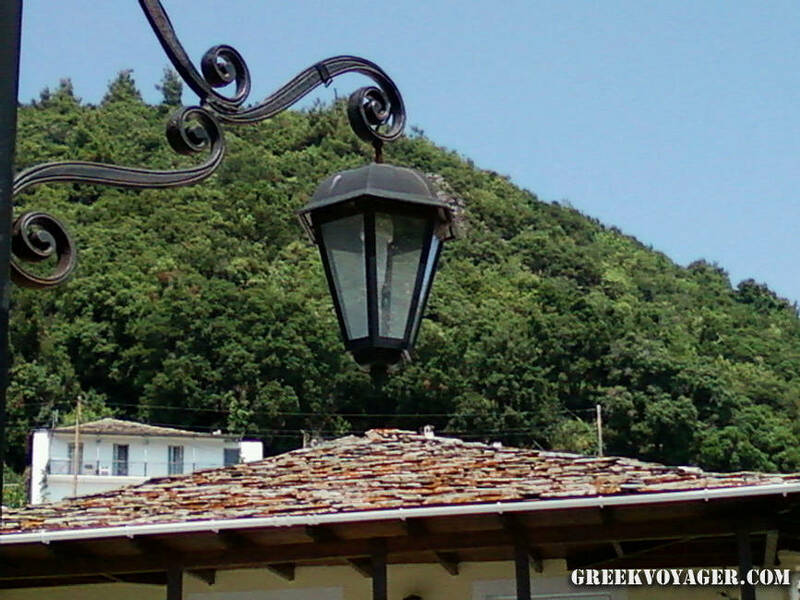 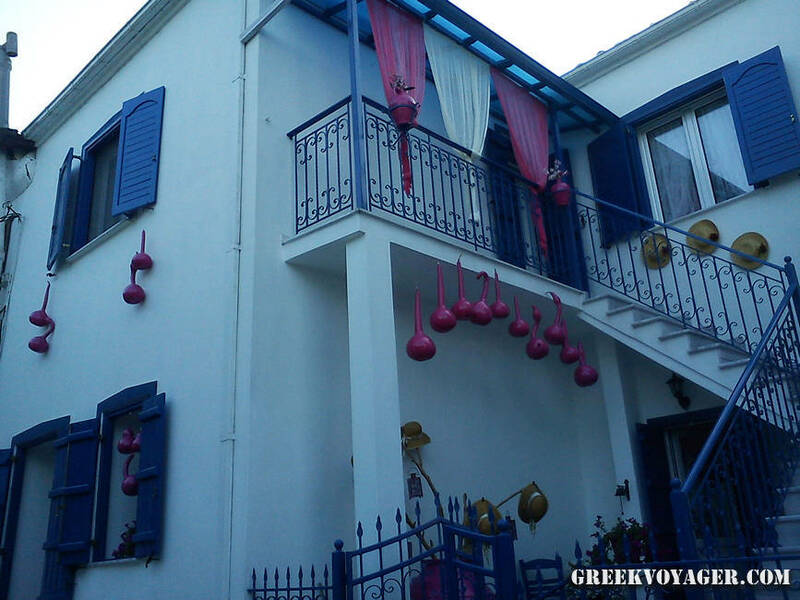 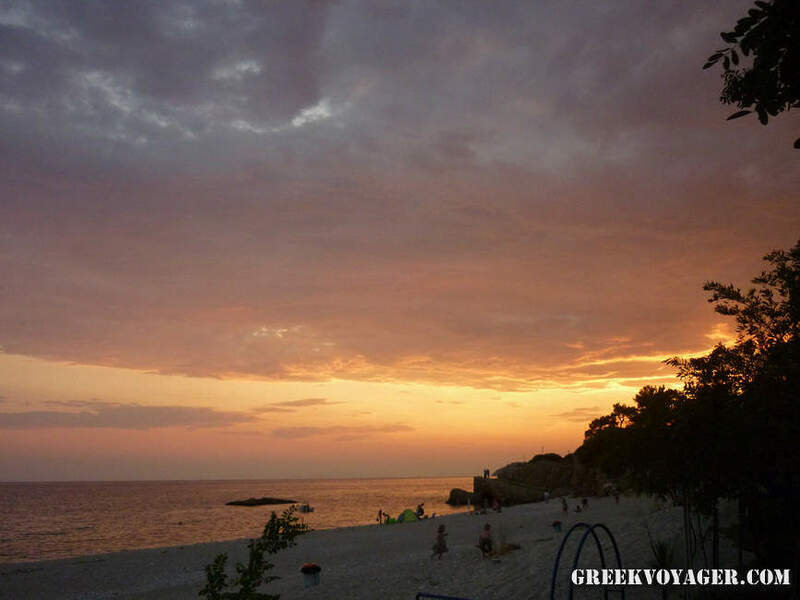 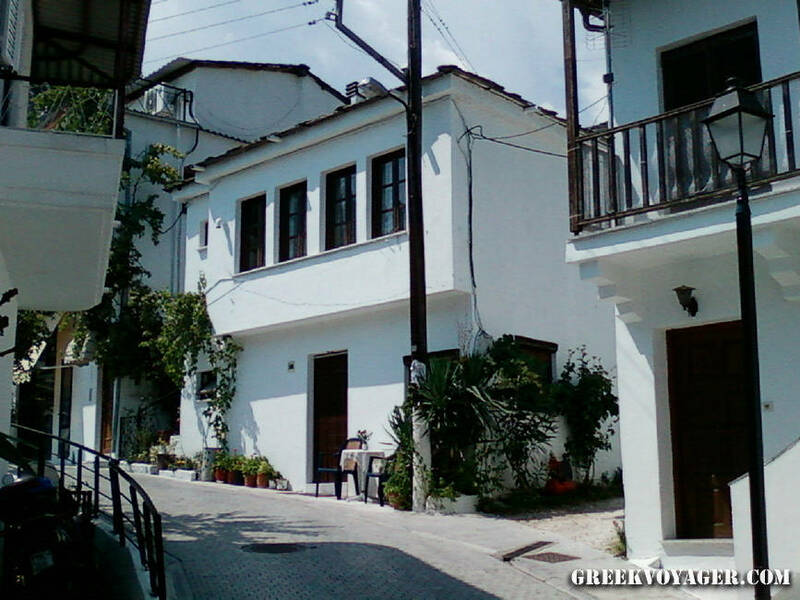 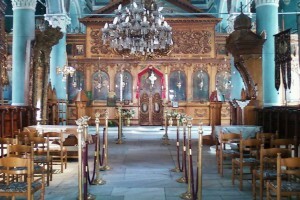 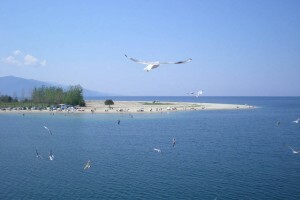 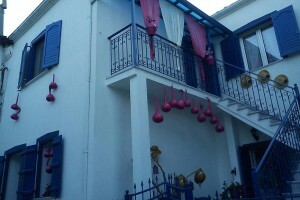 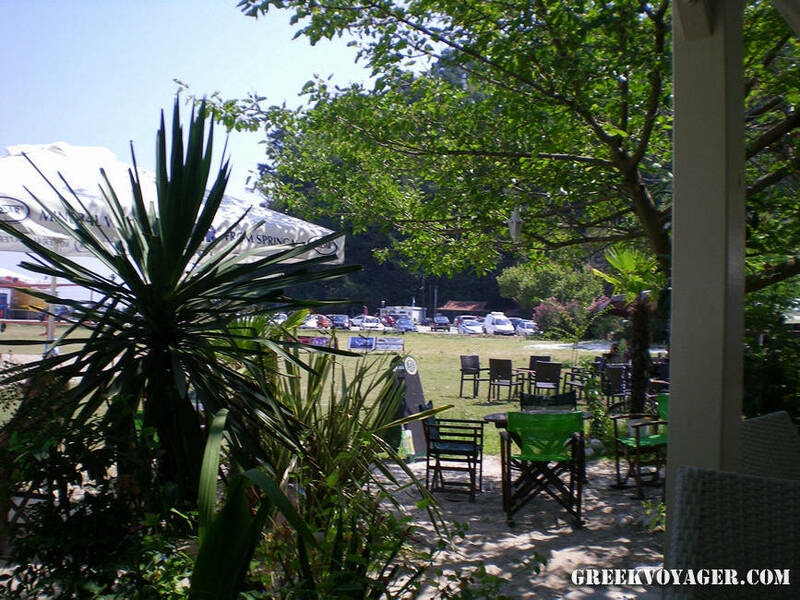 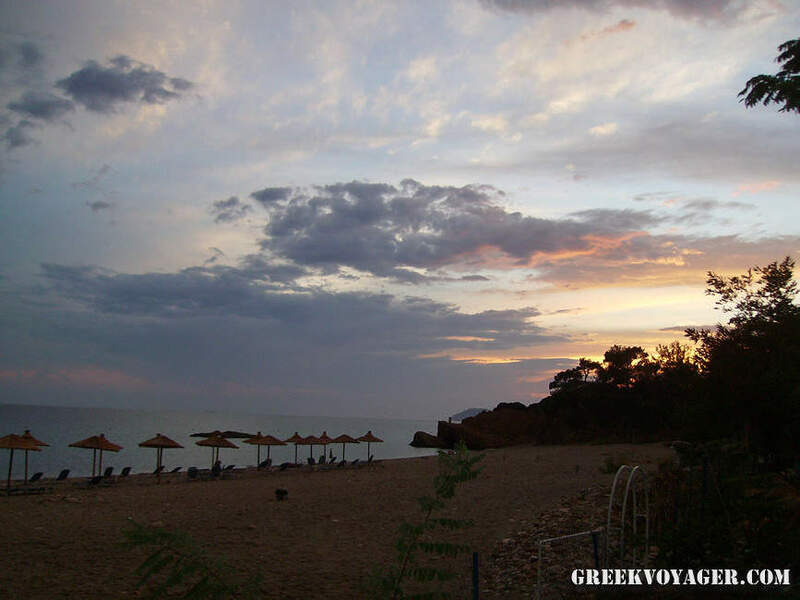 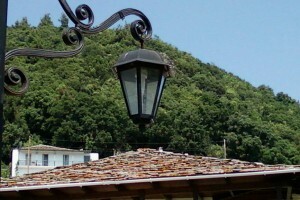 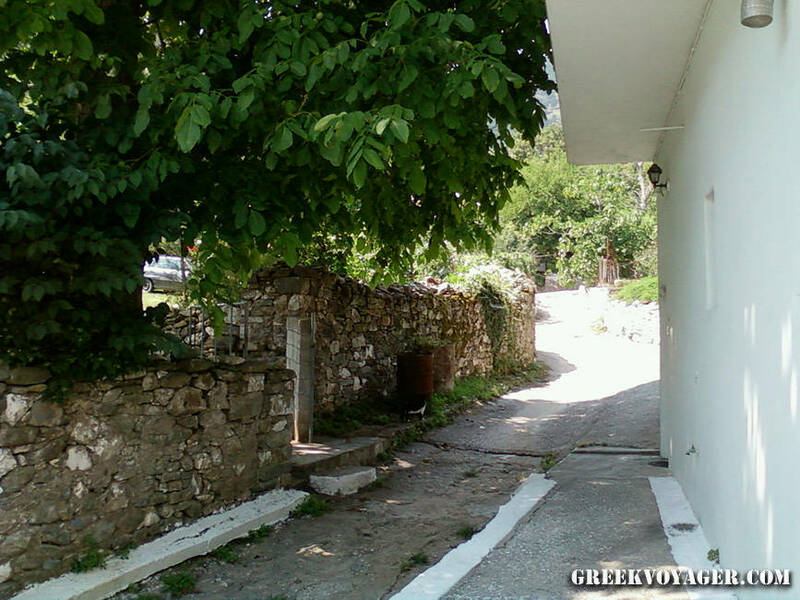 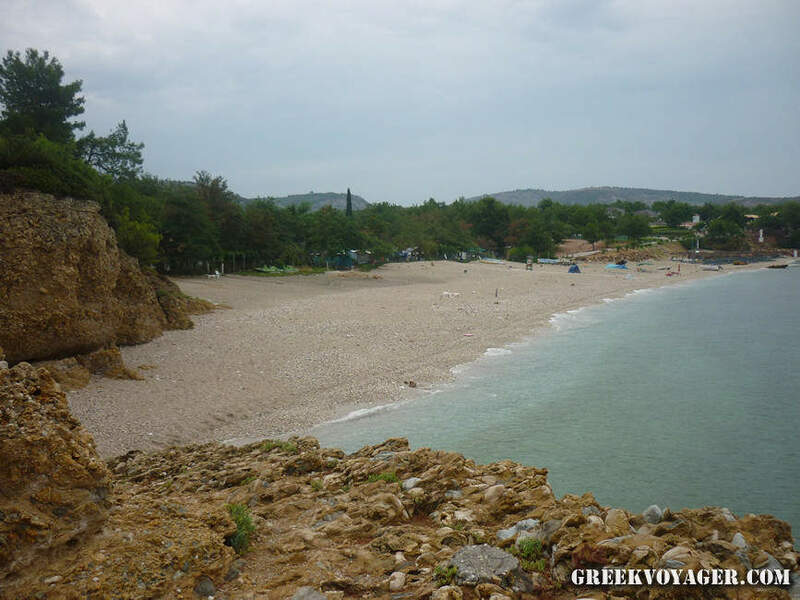 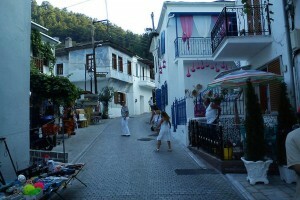 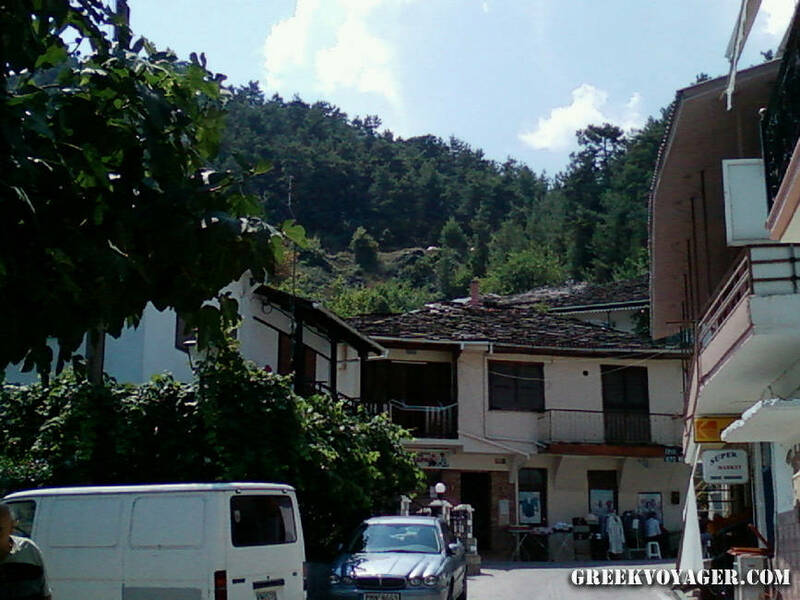 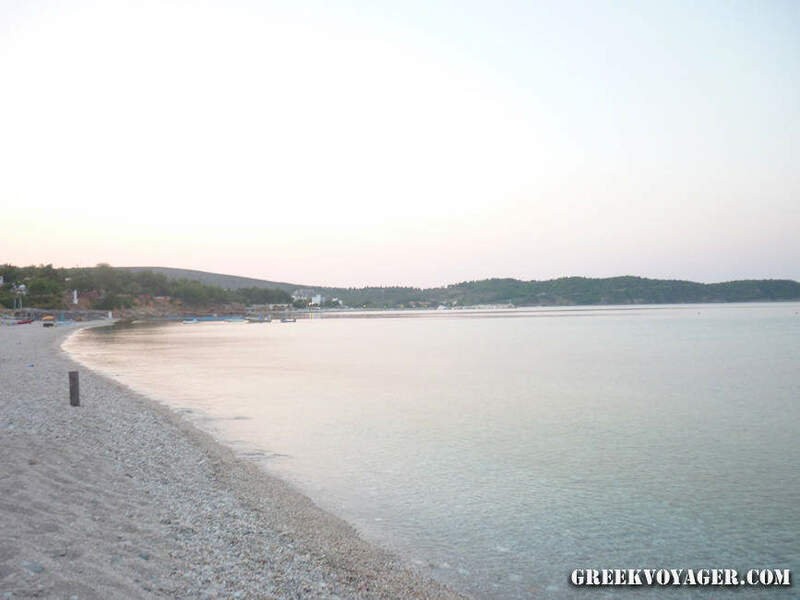 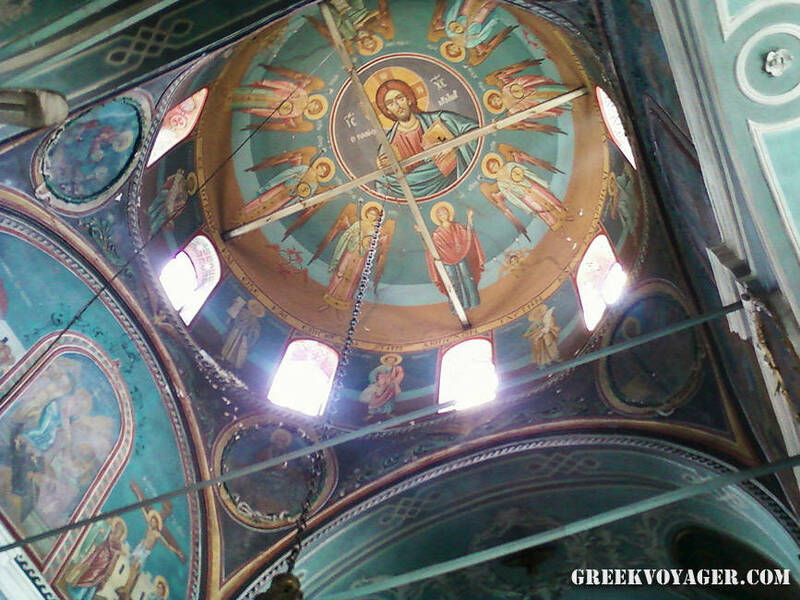 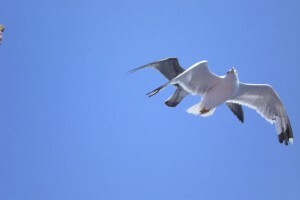 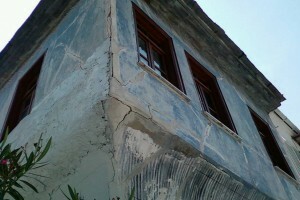 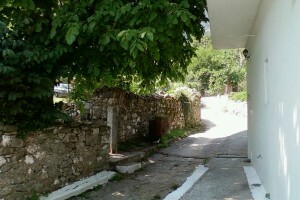 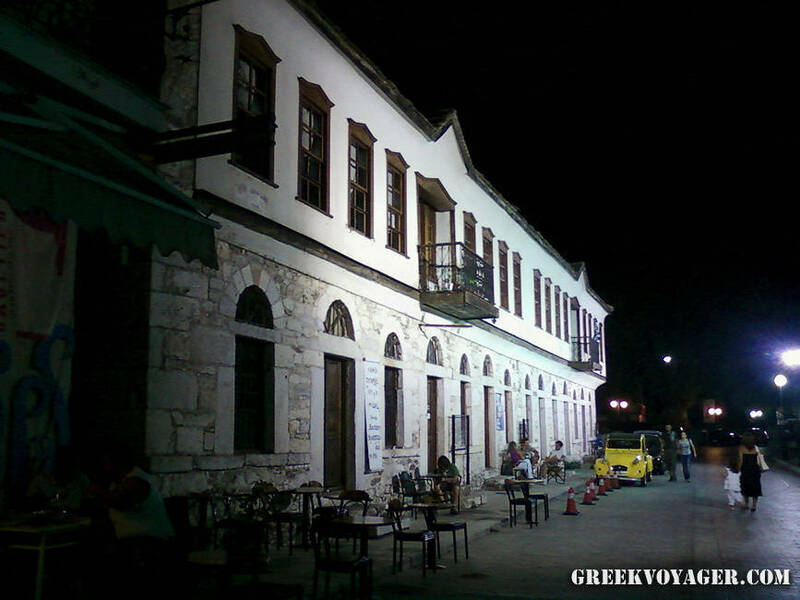 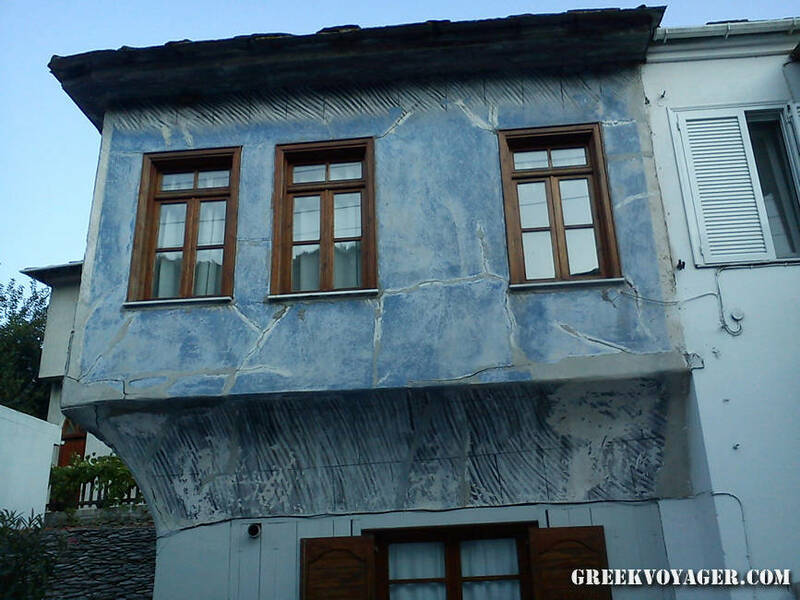 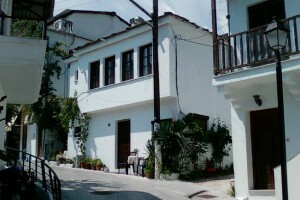 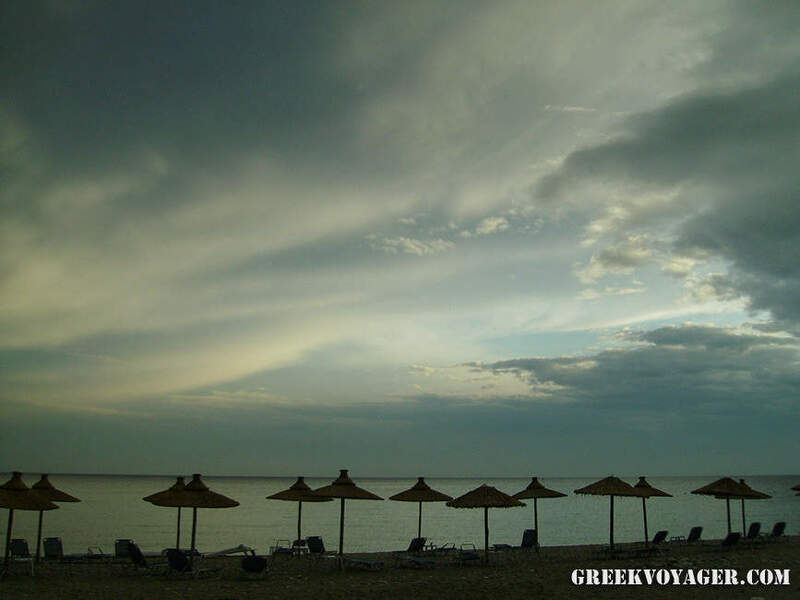 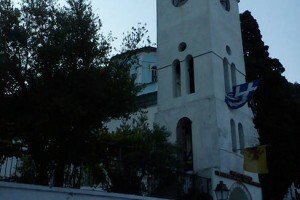 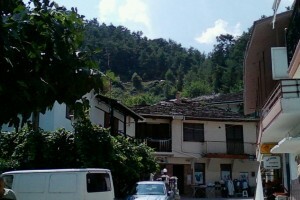 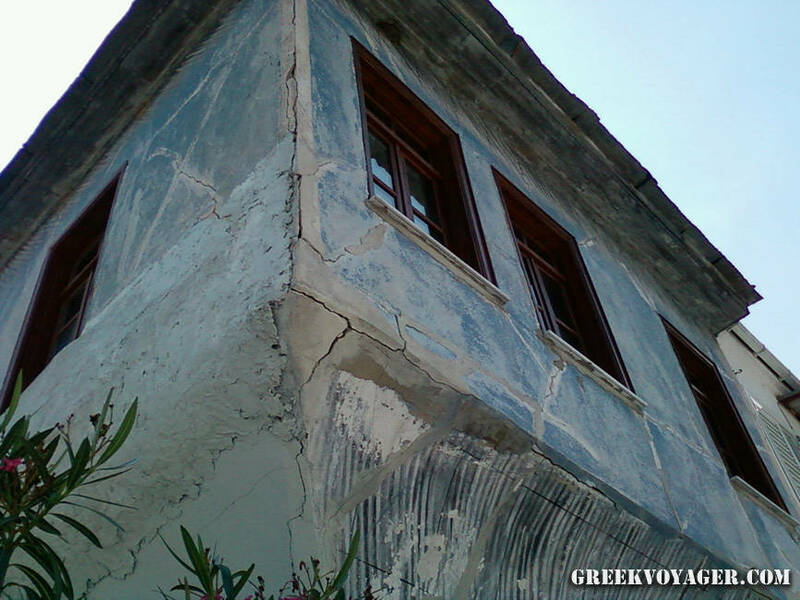 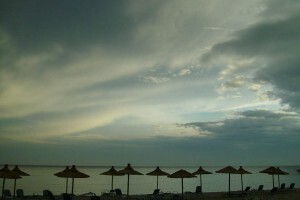 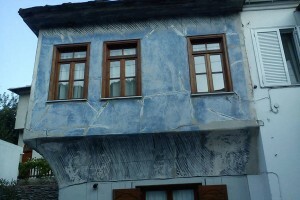 It is located in the North Aegean Sea, opposite the coast of Eastern Macedonia and the town of Kavala. 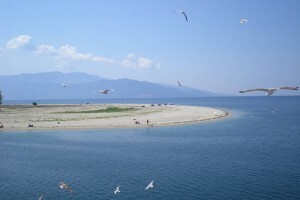 It has an area of 379 km and a round shape with a length of 26 km and a width of 22 km. 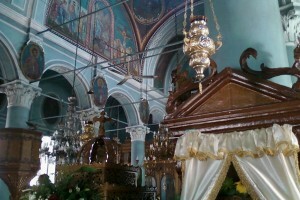 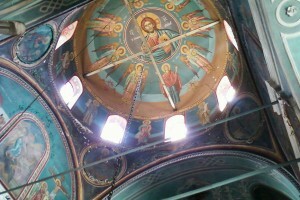 In its land dominates the mountain Ypsarion with the highest peak at 1,203 meters. 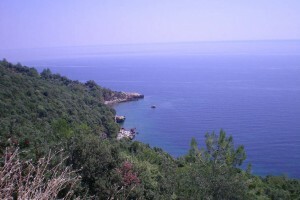 The coastline has a length of 95 km. 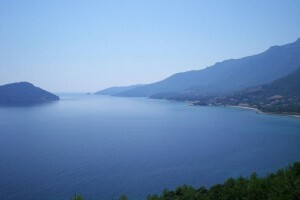 The largest bay is Limenaria in southwest. 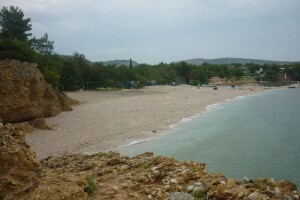 The longest sandy beaches are located in the northern and western part. 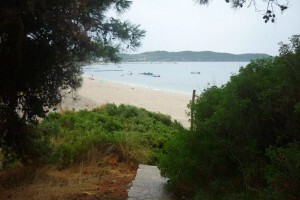 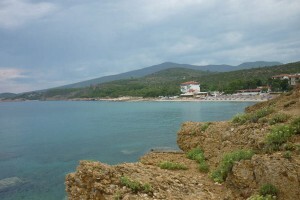 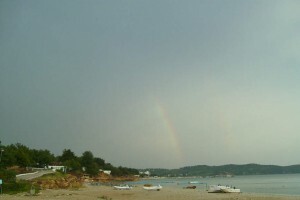 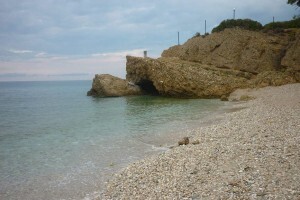 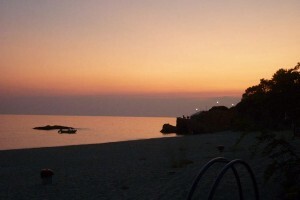 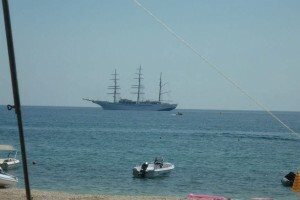 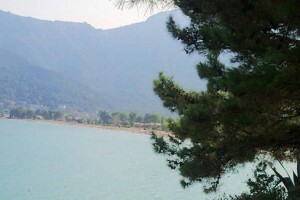 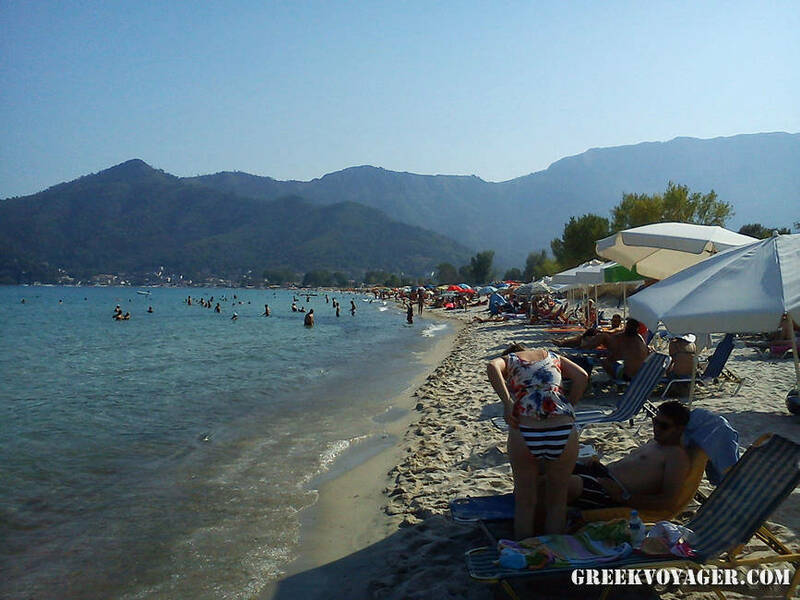 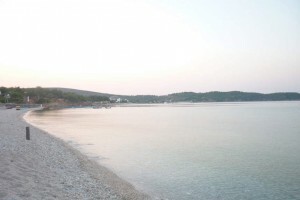 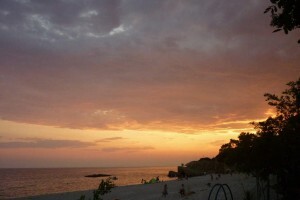 The largest and most famous is the beach of Prinos. 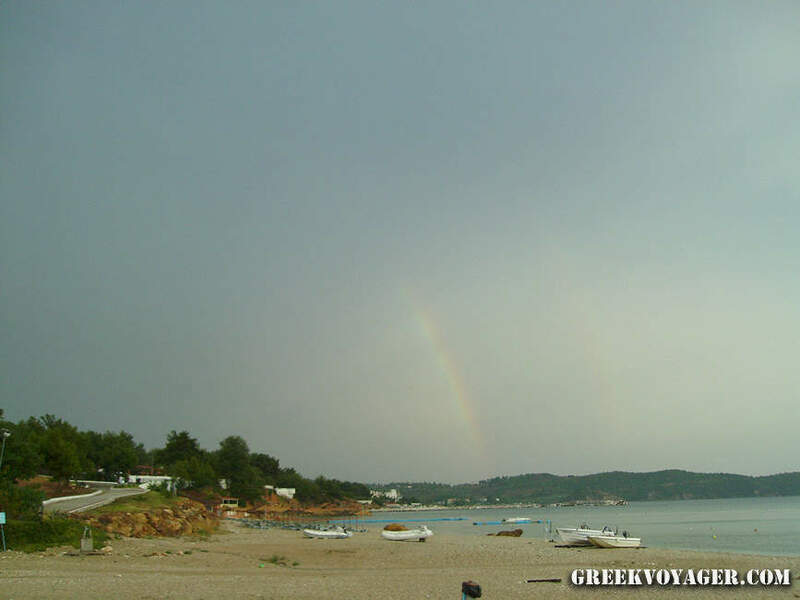 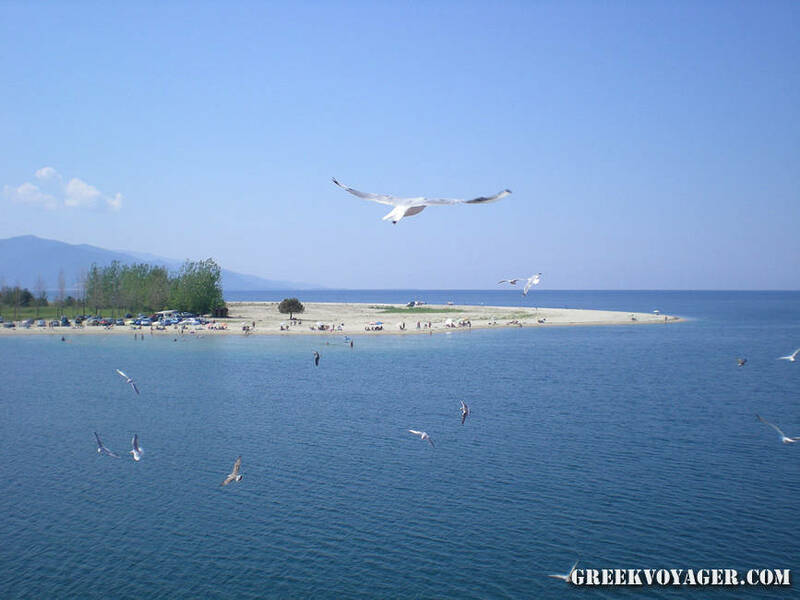 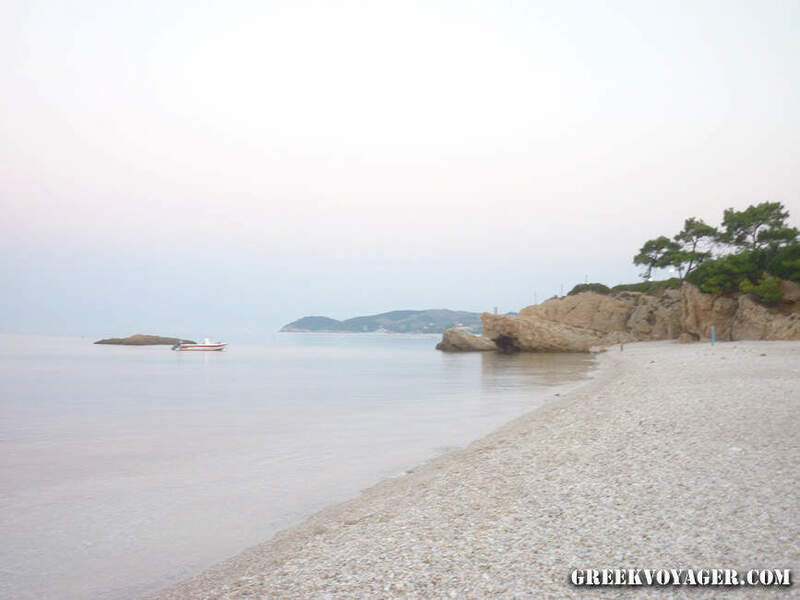 Between the island of Thasos and the coast of Macedonia is the islet Thasopoula. 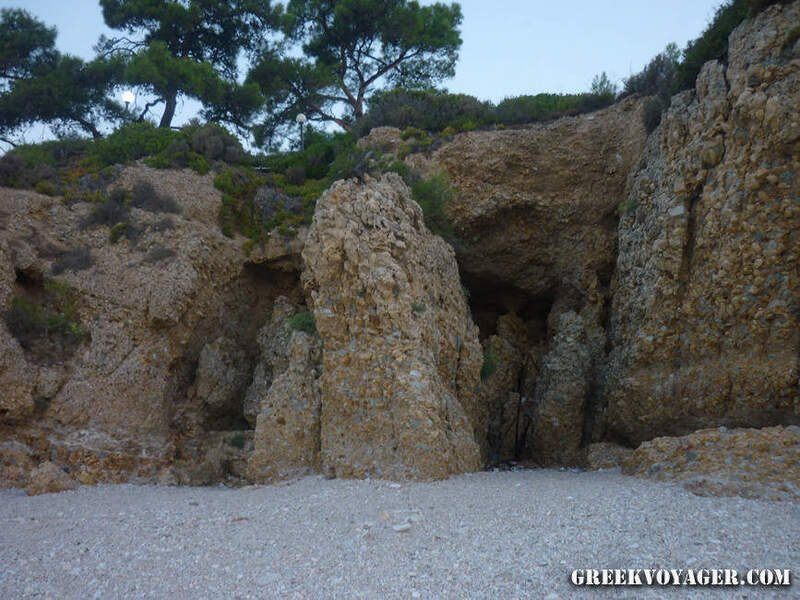 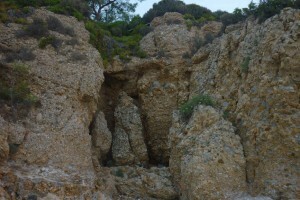 Near the east coast are the rocky islets Gramboussa, Kinyra and Diapori and near the south shore the rocky islets Panagia and Pelagos. 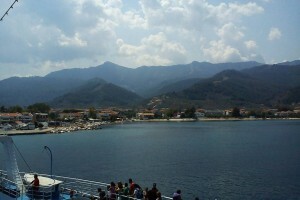 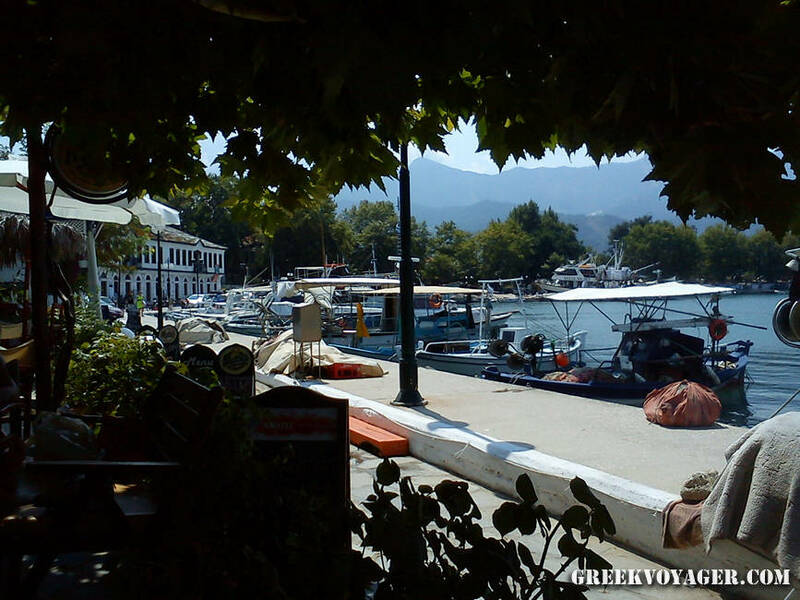 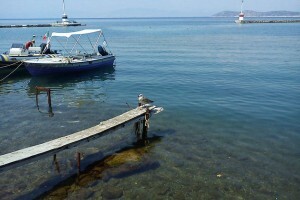 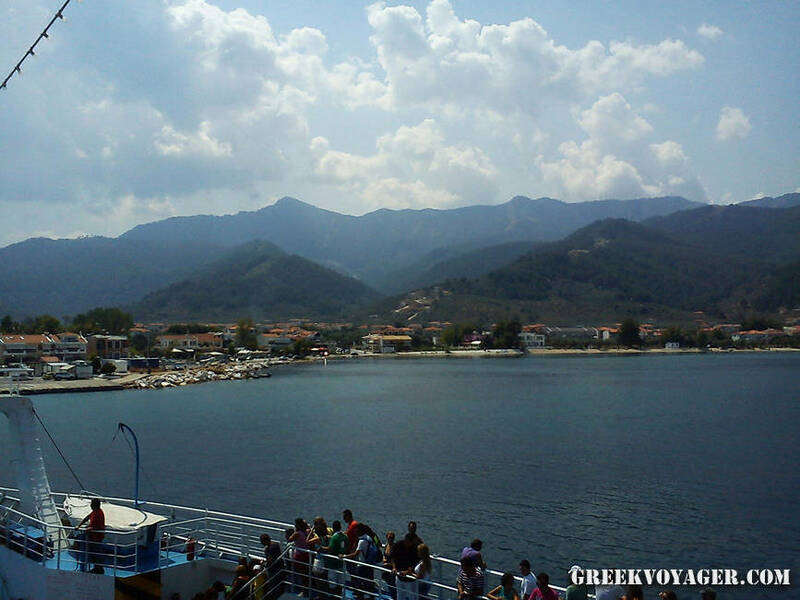 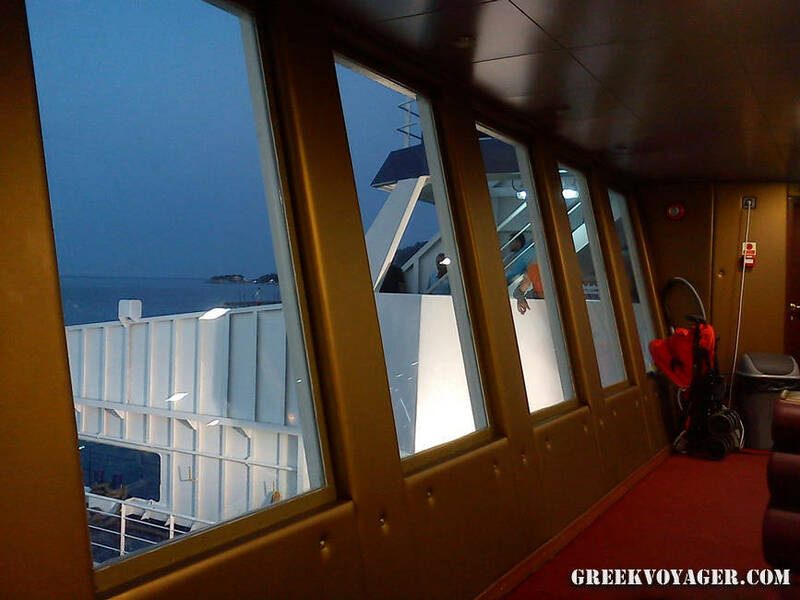 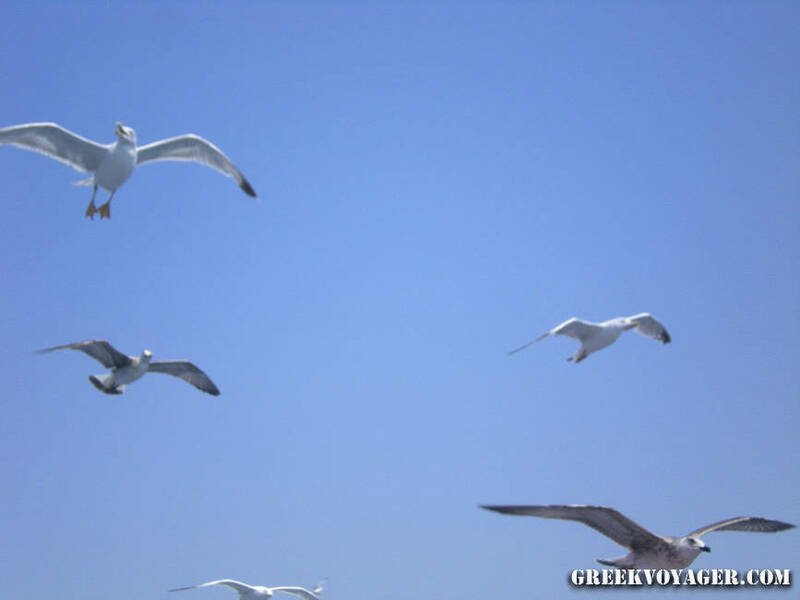 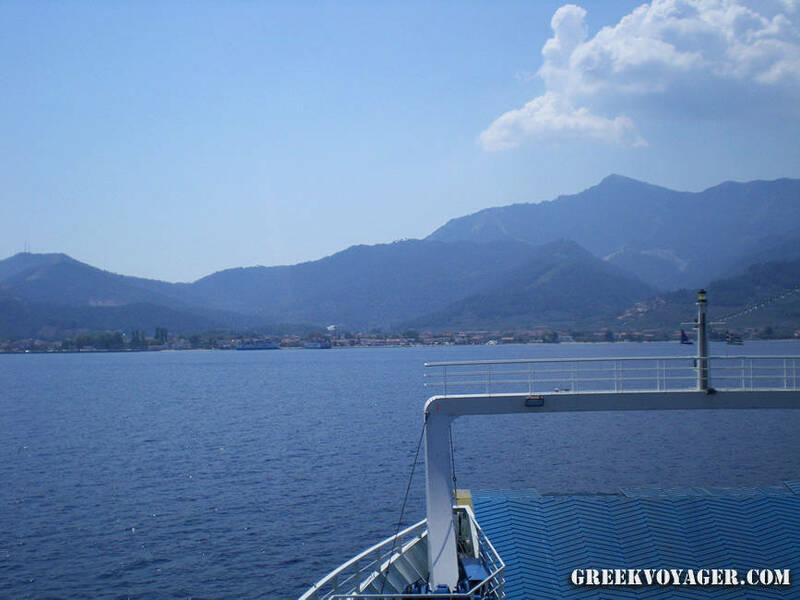 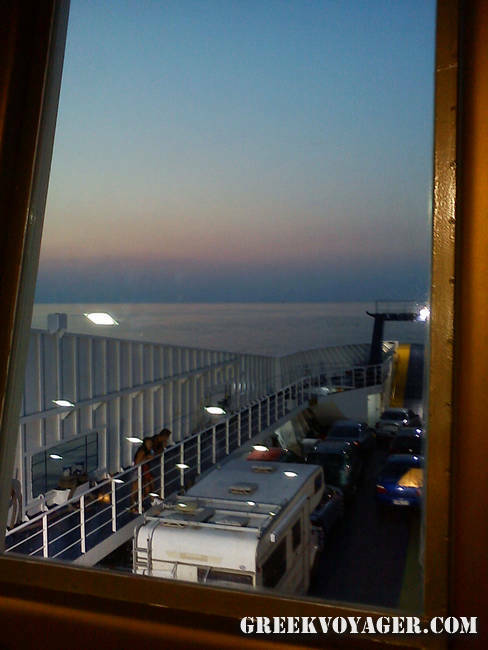 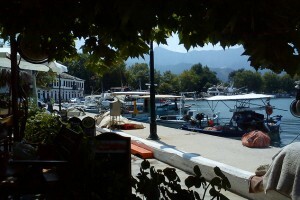 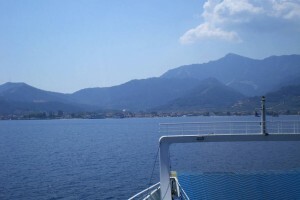 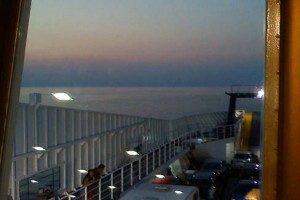 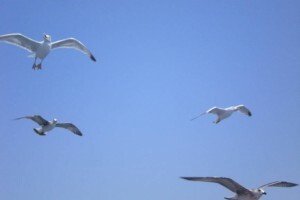 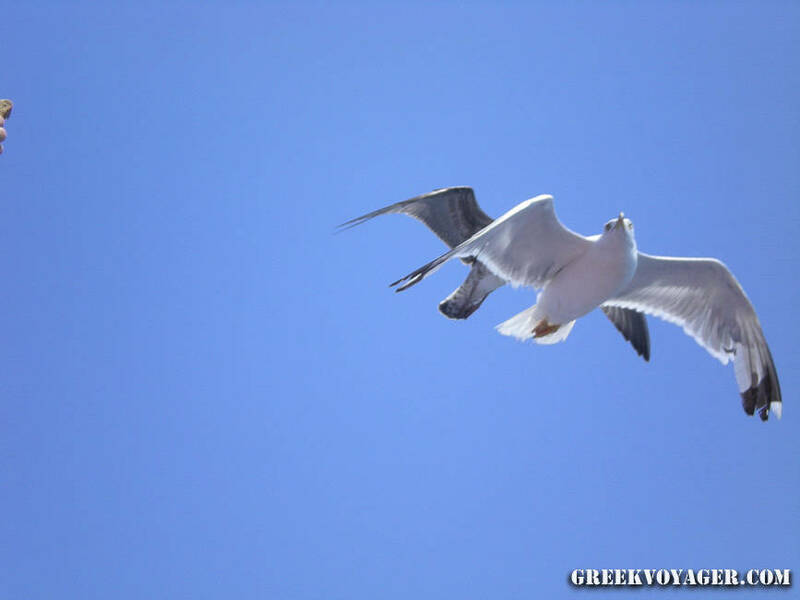 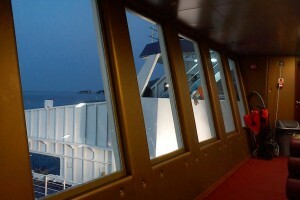 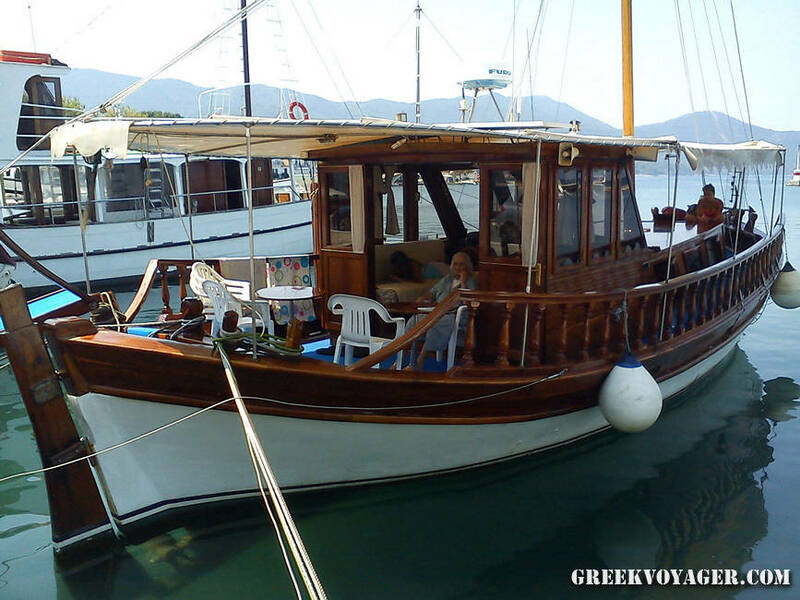 We go to Thassos by ferry from the ports of Kavala and Keramoti. 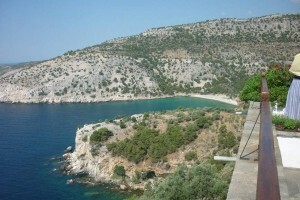 The island offers many options for a nice holiday. 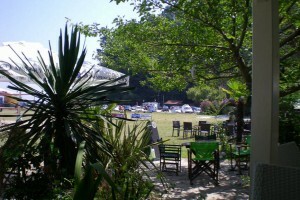 One feature is that there are several camping sites. 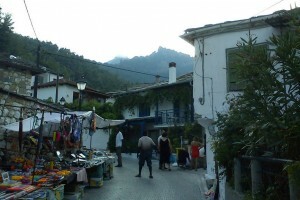 Of the local products, the most famous are honey, olives and olive oil. 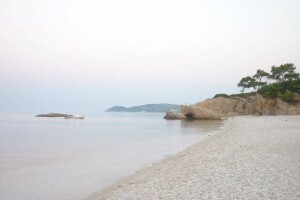 The island was for centuries an important commercial, financial and cultural center thanks to its geographical position and its mineral wealth – white marble, gold, silver and gems. 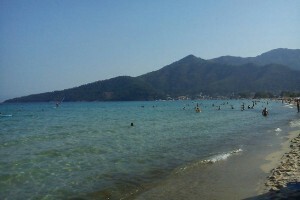 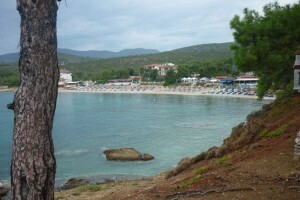 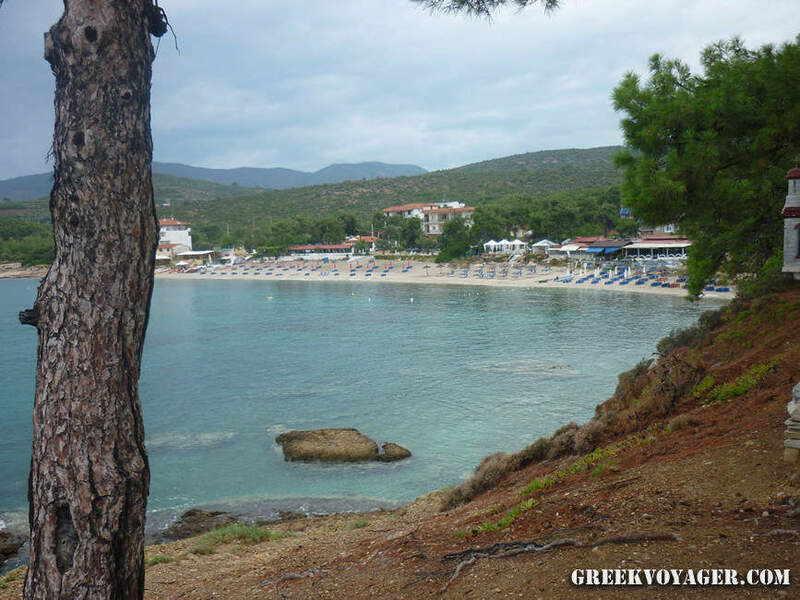 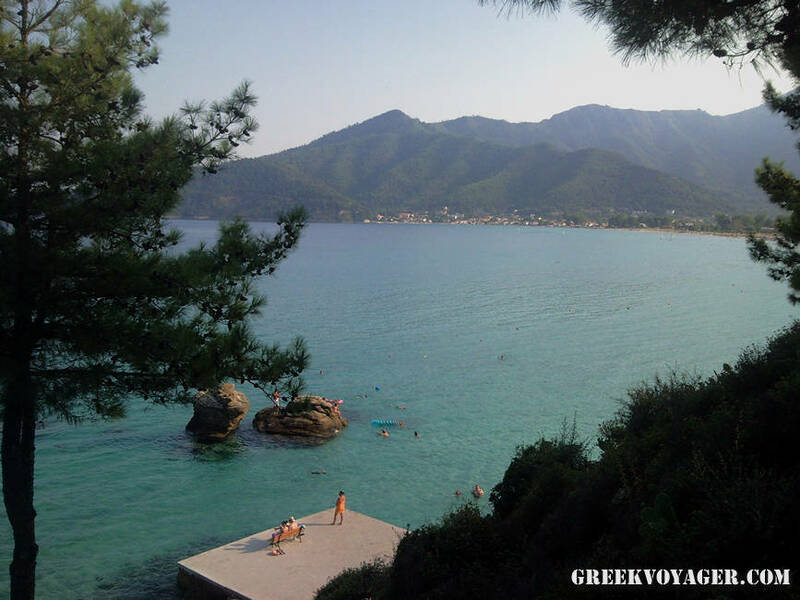 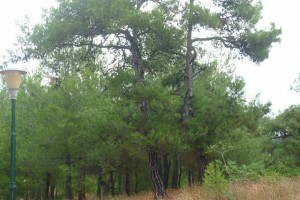 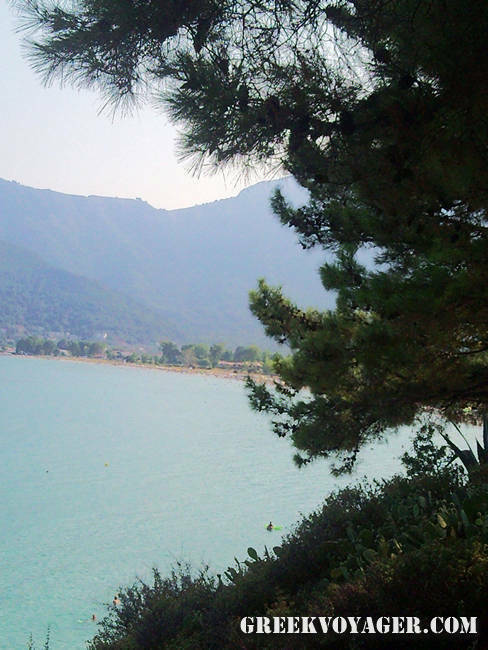 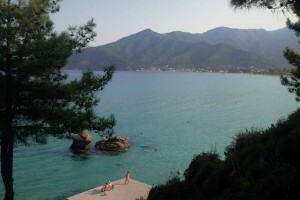 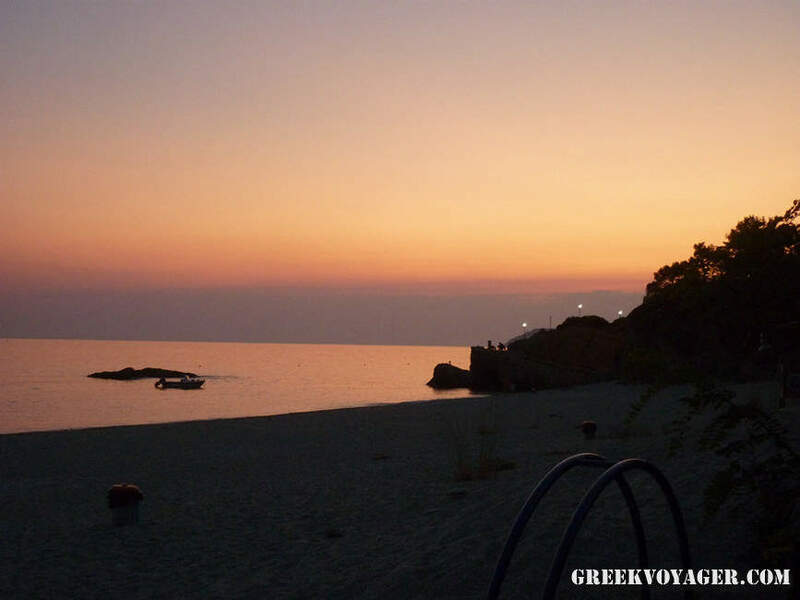 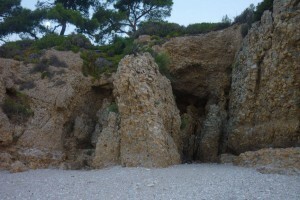 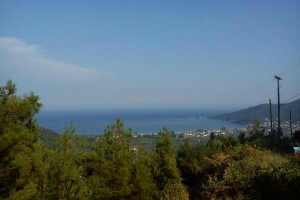 According to tradition, its riches were first discovered by the Phoenicians, who came under the leadership of Thassos. 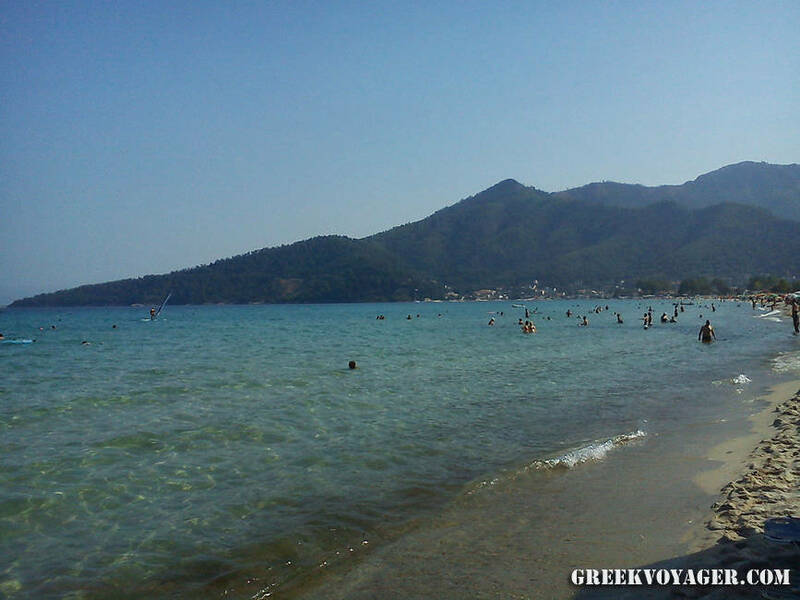 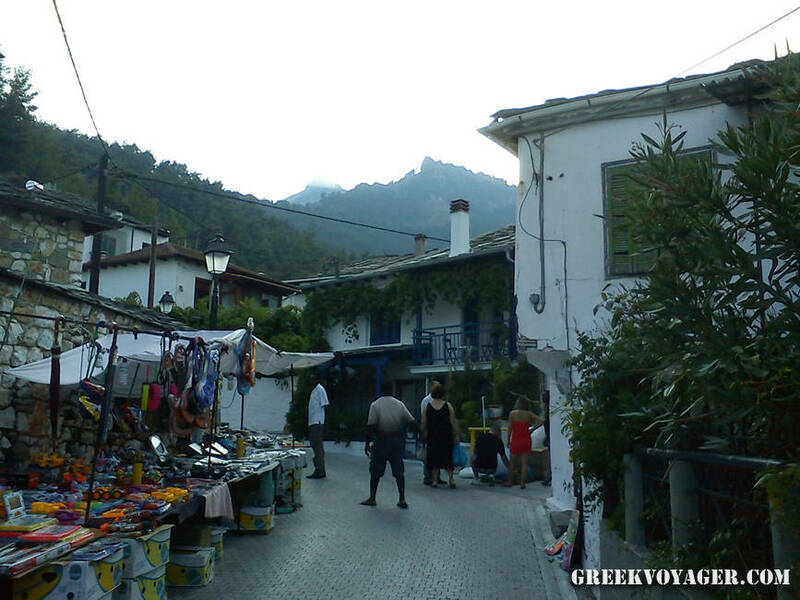 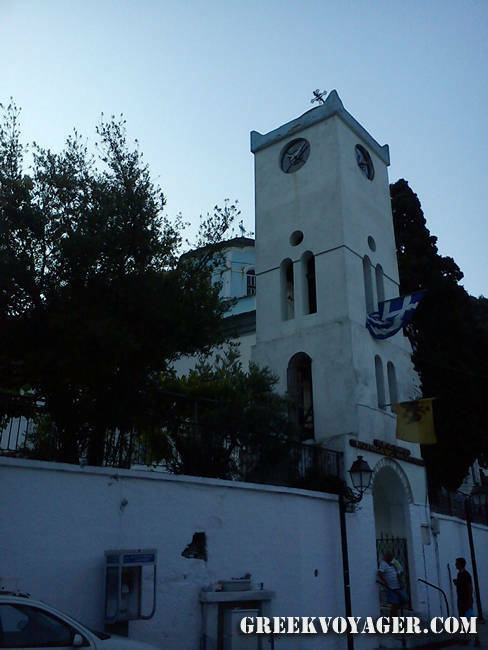 The period of prosperity began in the 7th century BC, when settlers from the island of Paros founded the city of Thassos. 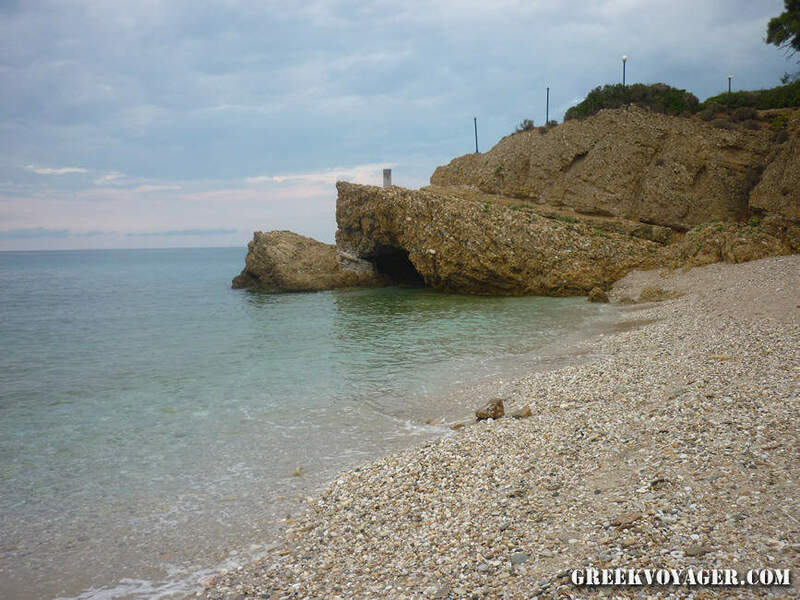 Shortly afterwards they founded new settlements on the island and on the opposite coast of Macedonia – one was Neapolis, in today’s Kavala. 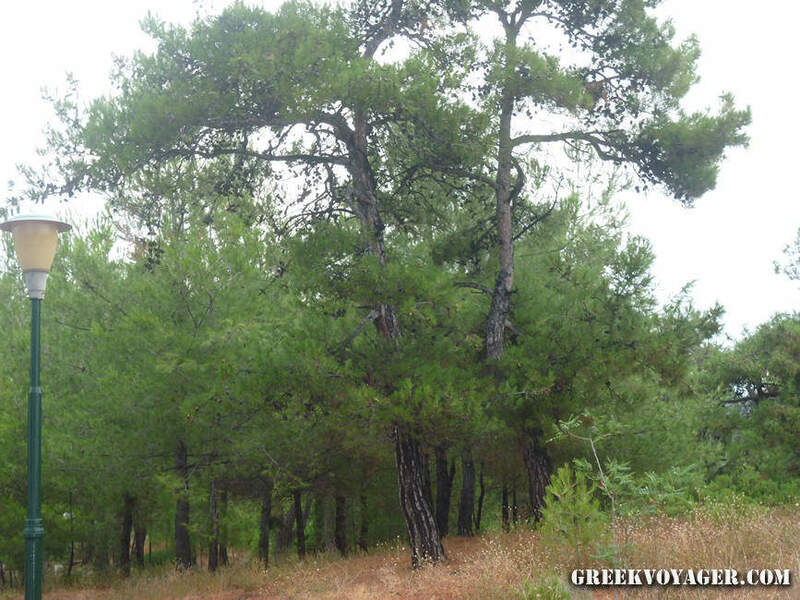 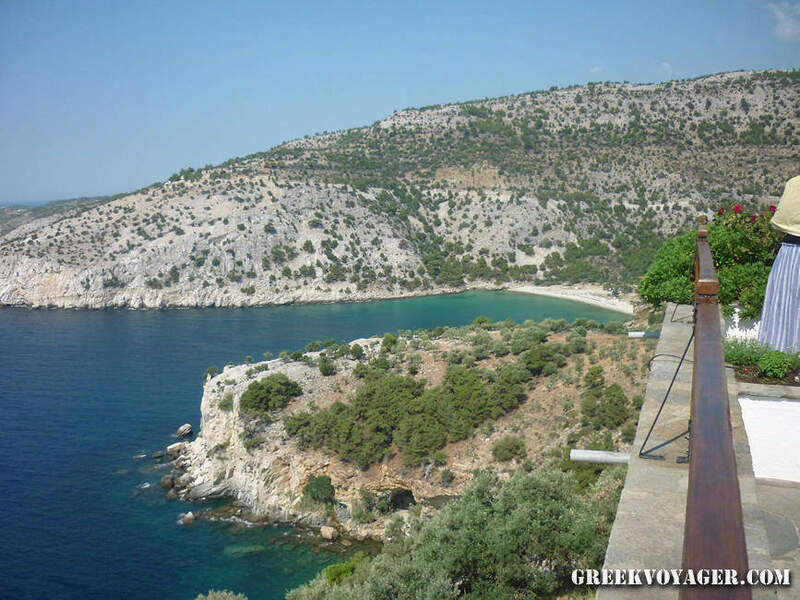 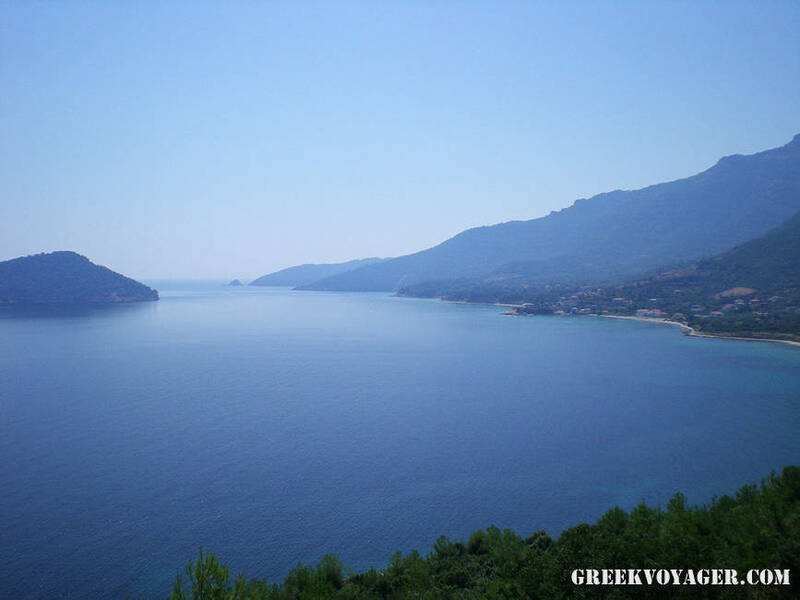 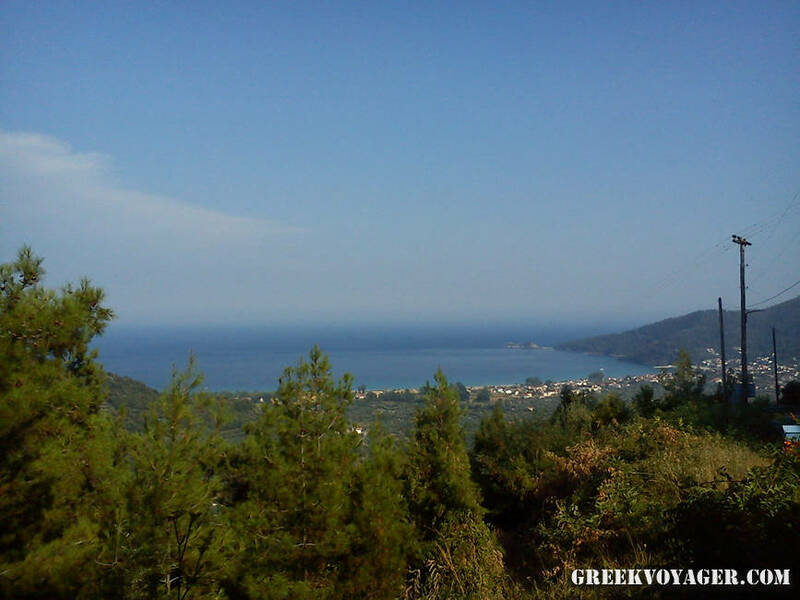 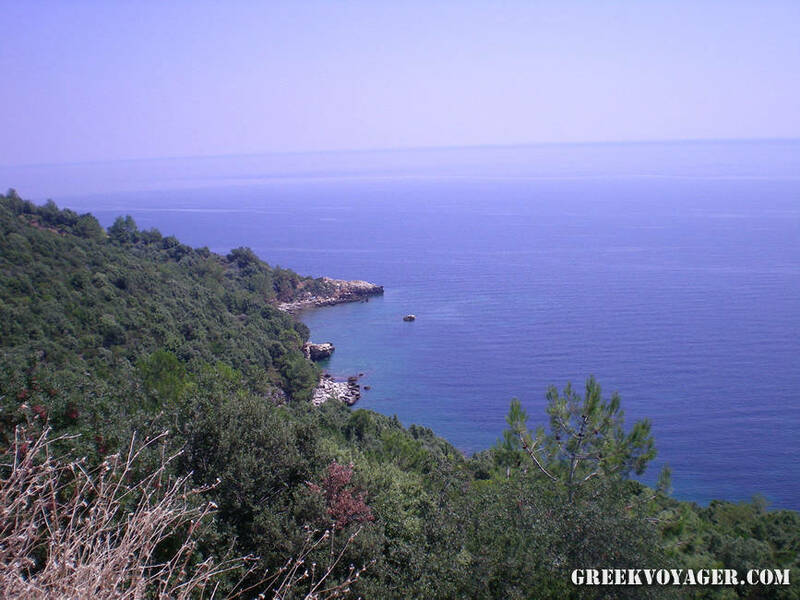 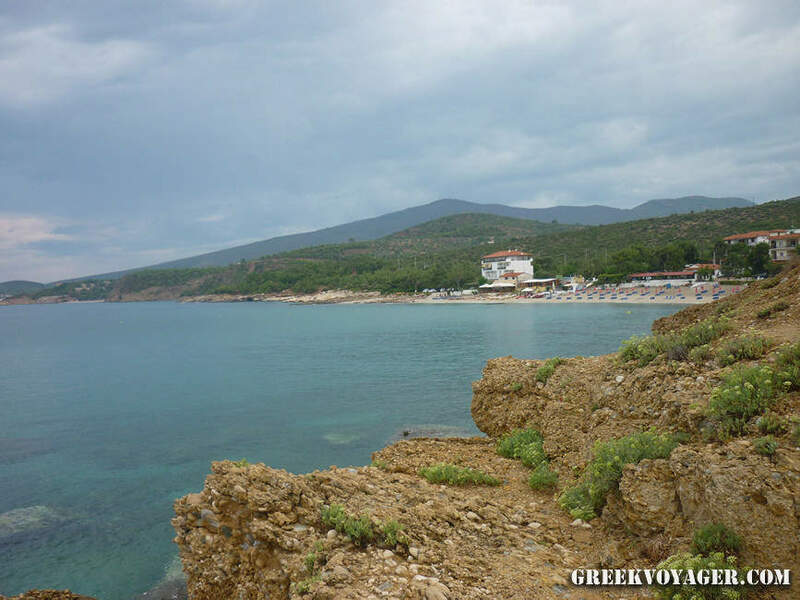 At the beginning of the 5th century BC Thasos was conquered by the Persians. 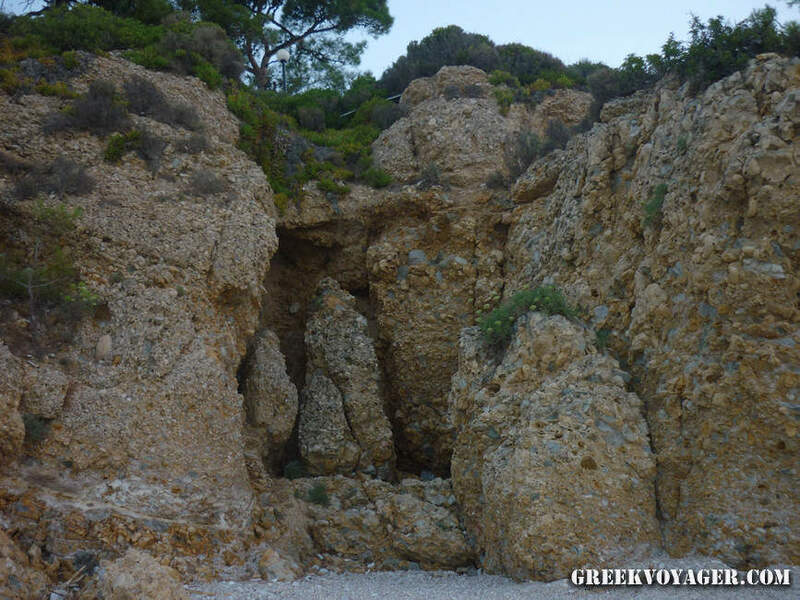 It became a member of the Athenian League in 477 BC and experienced the adventures of the Peloponnesian War. 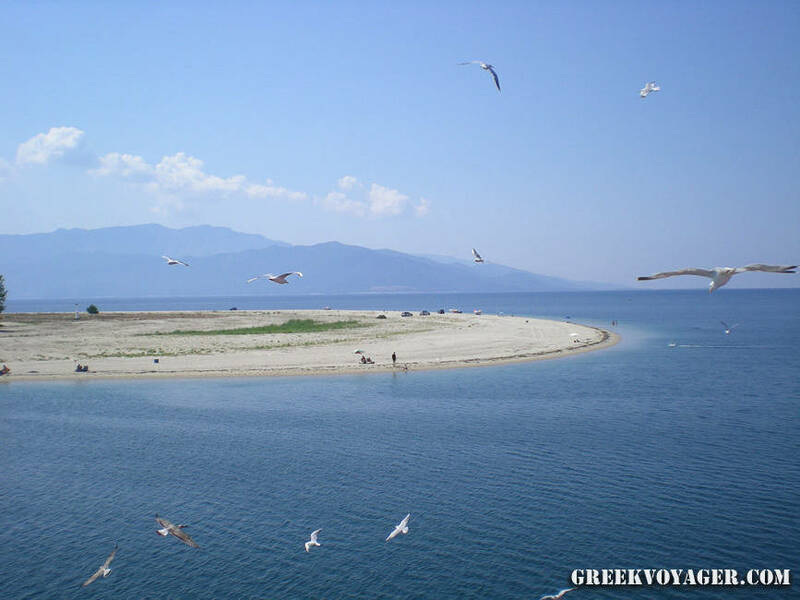 In 375 BC, it participated in the Second Athenian League, and in 340 was annexed by Philip II in Macedonia, but remained independent. 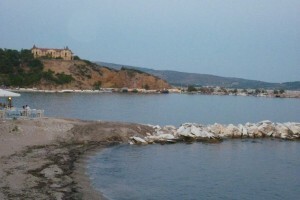 In 197, was occupied by the Romans, who declared the town as a free city (Roman civitas). 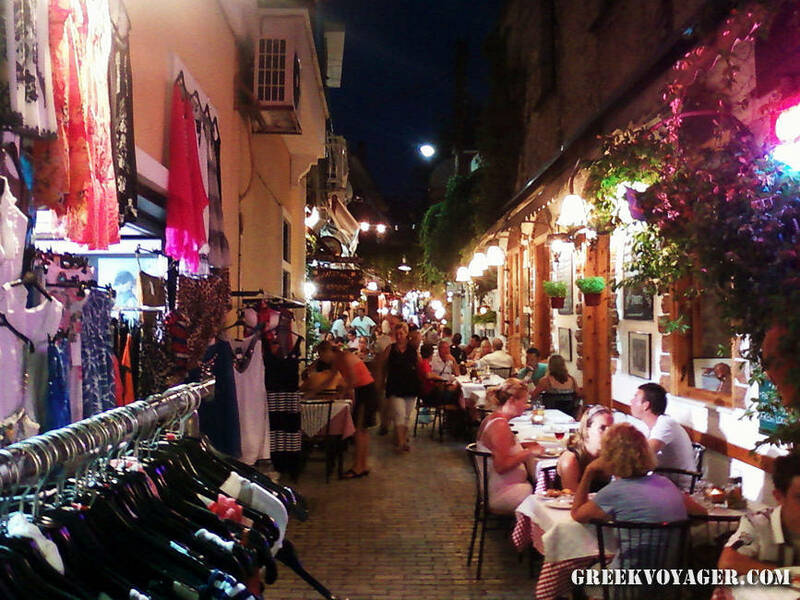 During the roman years it remained an important trading center, and during the Byzantine era experienced invasions of barbarians and pirates. 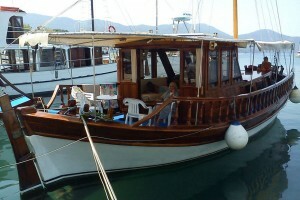 In 1204, came the Venetians, in 1307 the Genoese and in 1455 the Turks. 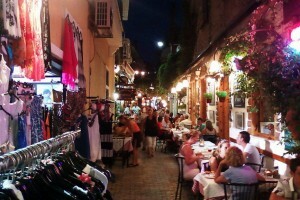 Later, it was three times in the hands of the Venetians, while in the 18th and 19th century suffered by pirate raids. 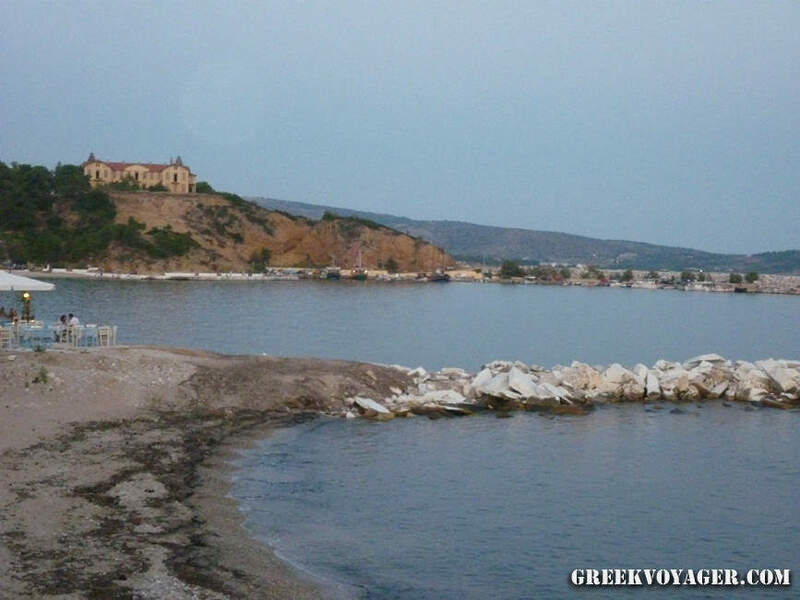 There are many remains of its long history, as an ancient wall of a length of 4 km, the archaic sanctuaries of Hercules and Artemis, the temples of Athena and Apollo, as well as the ancient theater, built in the 5th century BC and reconstructed in the Roman era.